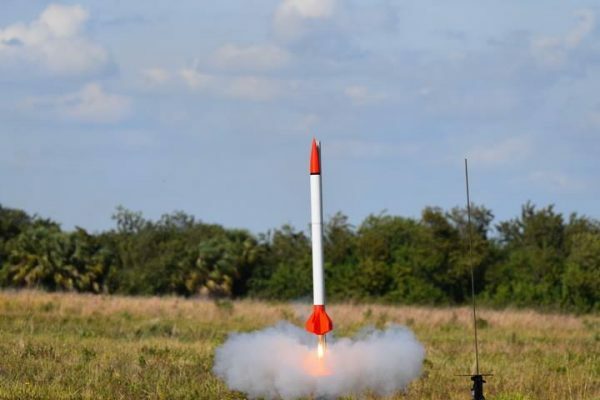 A Rocket launch by the Florida Tech Student Rocket Society. The world has come a long way into the field STEAM (Science, Technology, Engineering, Arts and Math). STEAM promotes a philosophy of education that embraces teaching skills and subjects in a way that resembles real life. A good example of STEAM Education is practiced by the Florida Institute of Technology which homes a Student Rocketry Society since 1958. 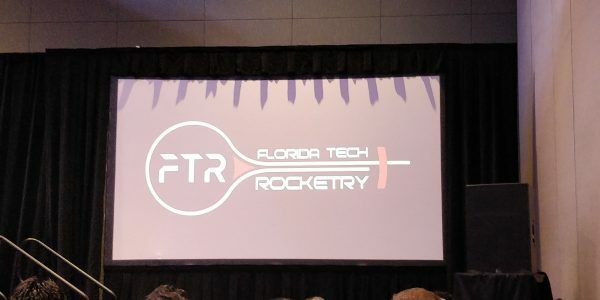 The Florida Tech Student Rocket Society is an inspiring organization on the F.I.T. campus focusing on rocket research, high powered certification, rocket building, and launching. Their aim is to promote the growth of rocket technologies and to inspire all minds to look towards the sky and beyond. FIT’s Hybrid High Altitude team takes second place in NASA Florida Space Grant Consortium hybrid rocket competition with a rocket, flying on a G-class hybrid motor, achieving an altitude of 3993 ft.
Rocketry passionate FIT students meet weekly and gain unparallel experience in team building through various processes of design, construction, research, and launching of rockets. Members also get a chance witness high powered rocketry while partaking in large scale rocket building. 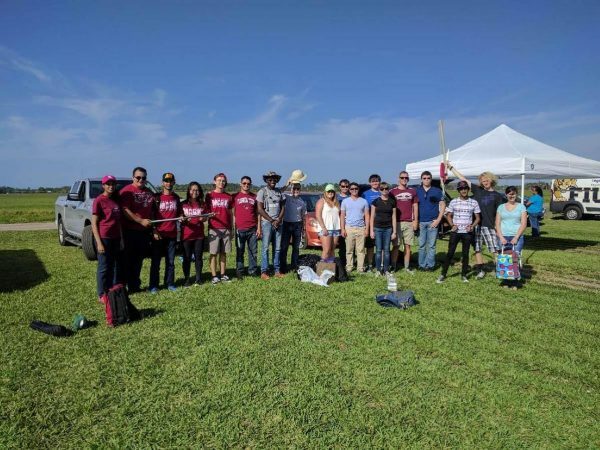 FIT’s Florida Tech Rocketry Society takes about their rocketry project. 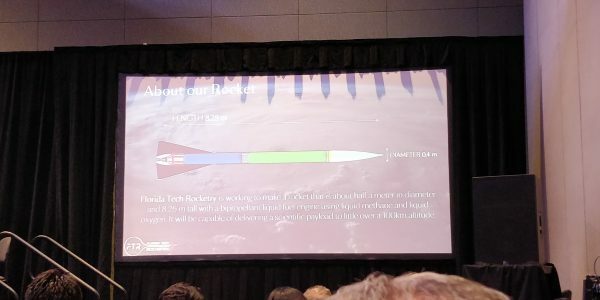 What we know about the project is that Florida Tech Rocketry students are working to make FIT the first university in the world to have a suborbital rocket, become a leader in the private aerospace market for space research, and create a lasting opportunity in STEAM and diversity on campus. Florida Tech Rocketry explains the design of a rocket to be used in the Base 11 challenge. The rocket will be about half a meter in diameter and 8.25 m tall with a bipropellant liquid fuel engine using liquid methane and liquid oxygen. It will be capable of delivering a scientific payload to a little over a 100km altitude. This Rocket is being constructed for the Base 11 Space Challenge. Base 11 is a non-profit organization which deploys a STEM Accelerator model that aids colleges to provide students to polish their STEM skills. 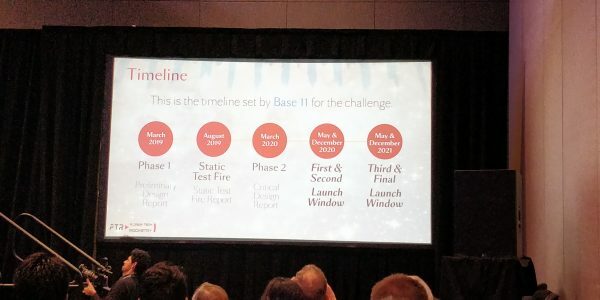 The Base 11 Space Challenge is a $1 million + prize for a student-led university team to design, build, and launch a liquid-propelled, single-stage rocket to an altitude of 100 kilometers (the Karman Line) by December 30, 2021. That is all we know for now about FIT’s current rocketry project. Feel free to visit their Facebook page and website to learn more.